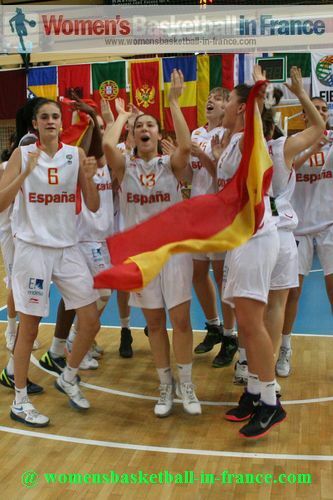 The 24th edition of the FIBA Europe U16 European Championship is coming to an end with the defending champions Spain taking on Italy in a repeat of the 2008 final with the Queens taking Gold again. 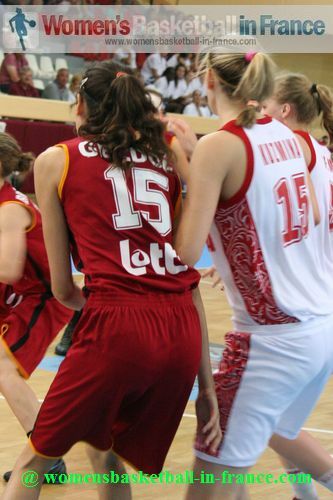 In the bronze medal match Russia's height was to count for them to win against a weakened Belgium team (53-41). 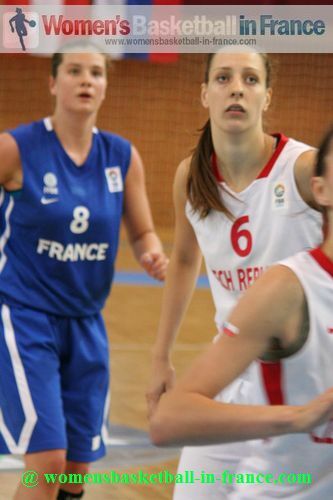 France finished in fifth place after an overtime victory against the Czech Republic (56-52). 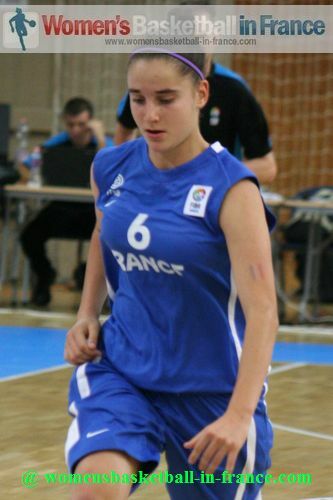 A three-pointer by Carla Biatrie with 50 seconds left to play in overtime sealed the victory for France. 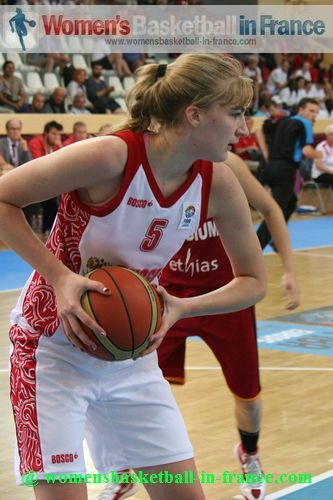 The hosts Hungary easily won against the Slovak Republic (67-42) to be 7th overall. 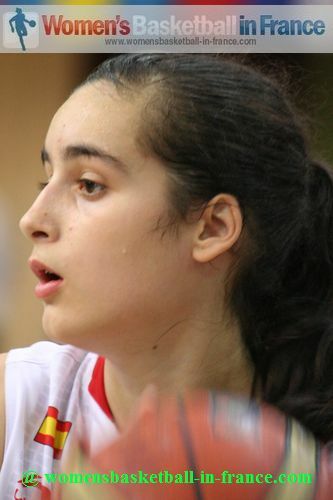 Turkey remain in Division A after beating Serbia (76-59) after a wonderful display of point guard play by Serife Onar. 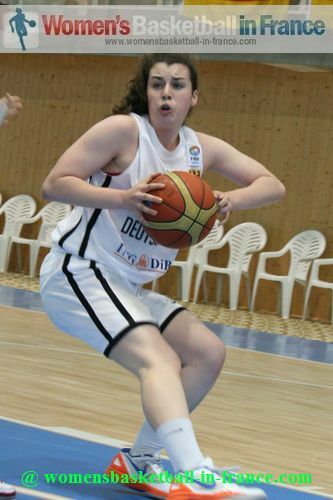 Emma Stach led Germany to victory against England (60-48). She scored 24 points. 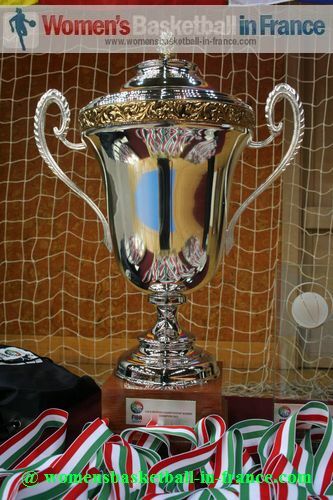 England are the only team not to taste victory in Miskolc. The two teams went on the attack from the start. 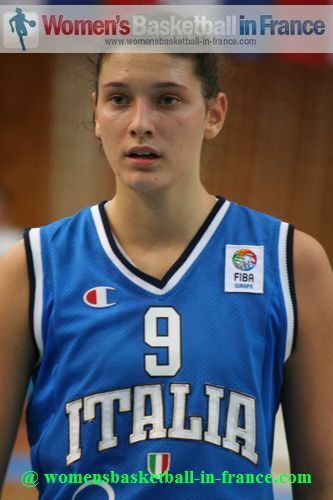 Italy scored first after almost two minutes through Sofia Vespignani. 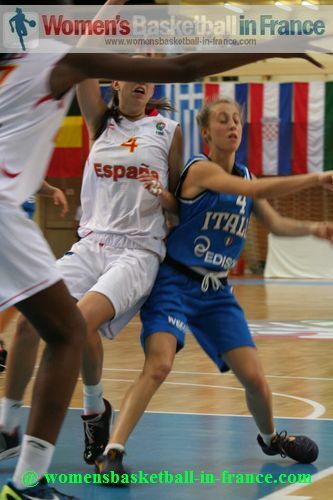 But Spain were soon into the grove and led (15-6) at the midway point with three-pointers coming from Laura Quevedo and Elena Capella. 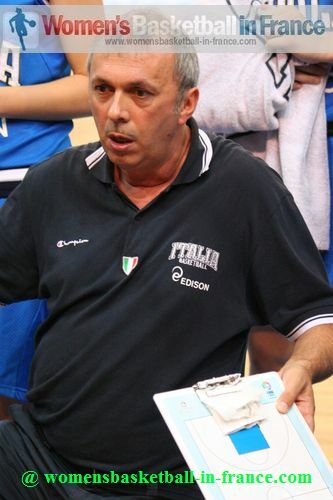 A quick time-out from Italy stopped Spain from scoring for a while. Italy did score but Spain was on fire. 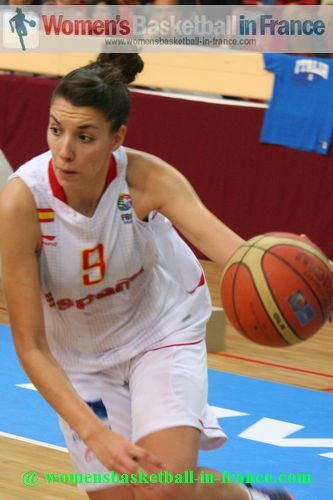 First Laia Flores went on a drive to the basket and then hooked a shot with her right hand, which was followed by a baseline trey by Angela Salvadores (20-8) for the Spanish side to take a double-digit lead with eight minutes played. 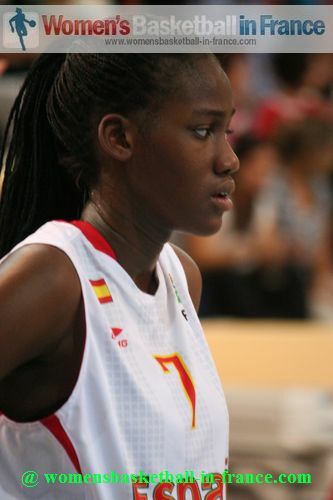 Spain went 4-of-7 from beyond the arc in the first 10 minutes to further go in front (23-10). 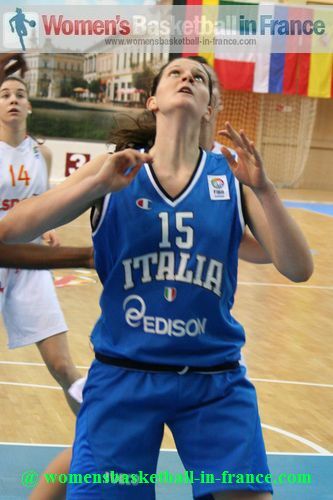 There was electricity in the air at the start of the second quarter, first a three-pointer by Capella for Spain then an acrobatic 2-pointer by Isabel Romano for Italy. 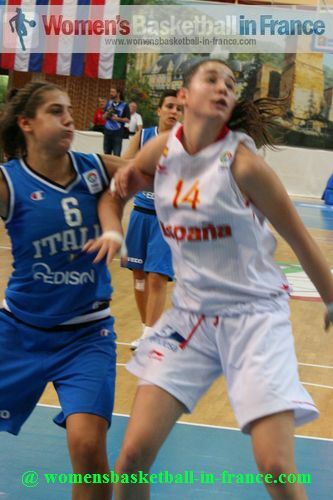 motion as basketball was displayed by the U20 team in 2011. 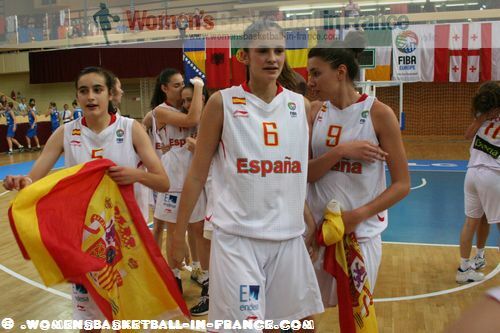 Spain went into the locker room further ahead (40-20). 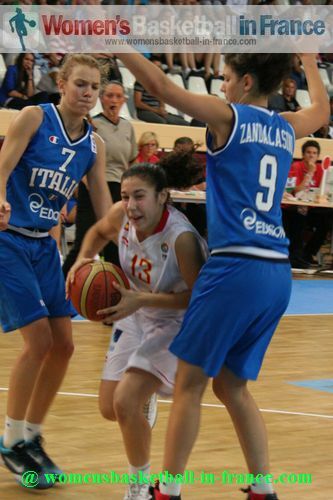 Spain continued their festival in long distance shooting while Italy continued to drive to the basket. 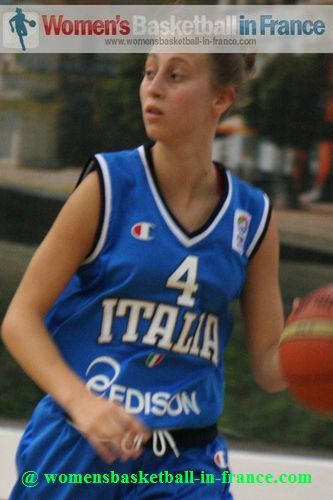 Cecilia Zandalasini regained her scoring touch with 10 third-quarter points giving Italy some hope. But the deficit was still in double digits going into the final quarter (41-59). It was a curious first quarter. 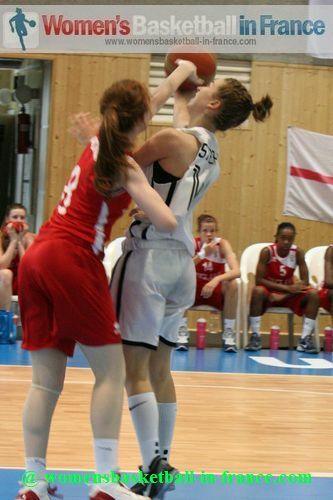 Although Russia scored the first 4 points they did not look comfortable despite controlling the paint. Belgium on the other hand were hitting the shots that had failed to drop in their semi-final match. Julie Allemand with a bandage around her head and absent during warm-up ad Kyara Linskens (8 points) were basically playing on one leg. Yet they still dominated the Russians in the hustle statistics for them to edge the first quarter with some clutch shooting from Eva Devliegher (13-12). A trey by Olga Orlova seemed to have sparked the Russians back into action as they also started to hustle in defense with the bench players being more active. 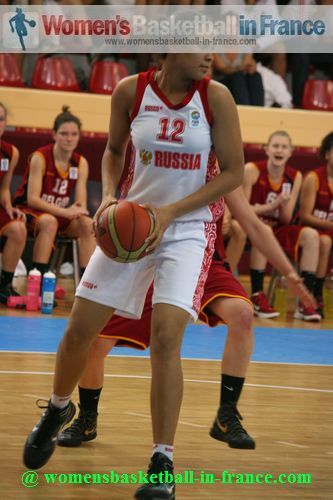 Russia finished with a 9-0 run to lead at half time (23-21). five minutes (24-24). So the Russian coach decided to give Daria Kolosovskaya a rest. was happening. Belgium were going through a spell in which the ball refused to drop. Despite the excellent defending, mainly zone, Russia's strength inside the paint enabled them to take a 5-point advantage into the final quarter (32-27). of an eye (42-32) with 7 1/2 minutes still to play. 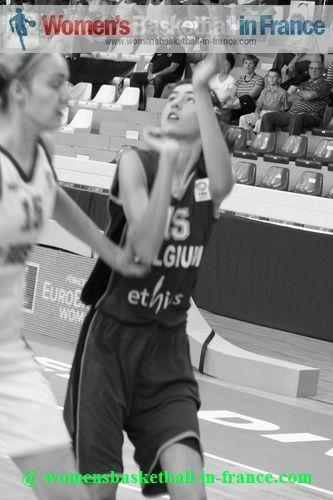 Belgium just lacked the energy of previous games to hit back and Russia were able to push the lead to 12 points (48-36) as money-time was approaching. In the end the taller Russians used their height well with 32 points coming from inside the paint. 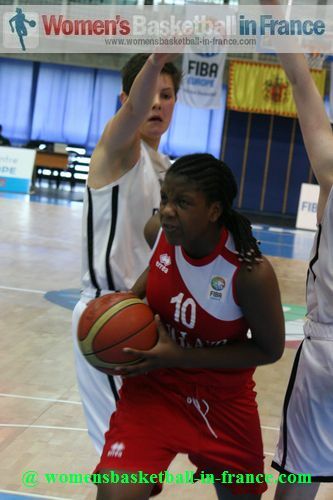 They also defended better as they cruised to victory (53-41). Belgium's main two players were not 100% fit while the other players were not able to step up enough. 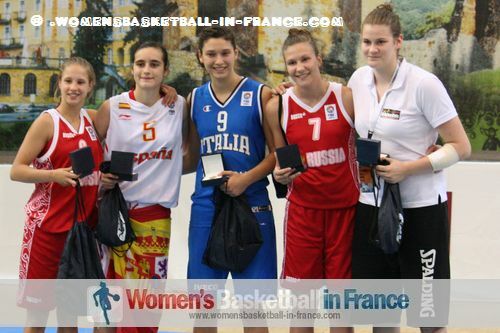 With this win Russia have picked up another FIBA Europe medal. 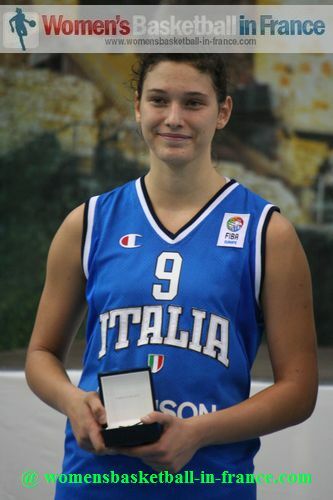 The MVP of this FIBA Europe European Championship U16 was Cecilia Zandalasini (in picture) from Italy who was joined in the all tournament team by Daria Kolosovskaya and Ksenia Levchenko, both from Russia, Kyara Linskens from Belgium and Angela Salvadores from Spain. 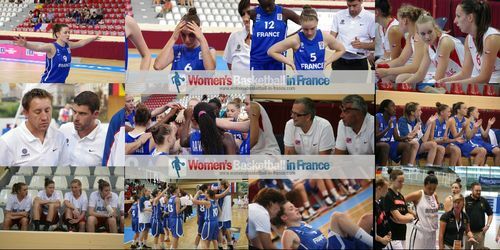 France led (17-9) against the Czech Republic by the end of the first quarter but then had to fight the rest of the way in a game that had seven lead changes and five ties. 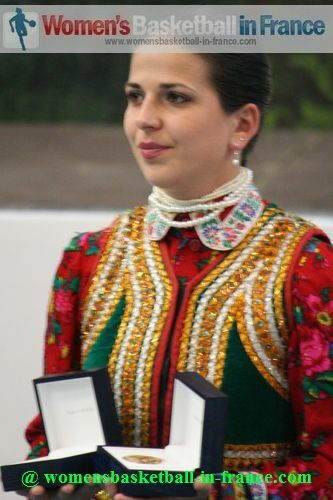 Czech Republic with 14 points. 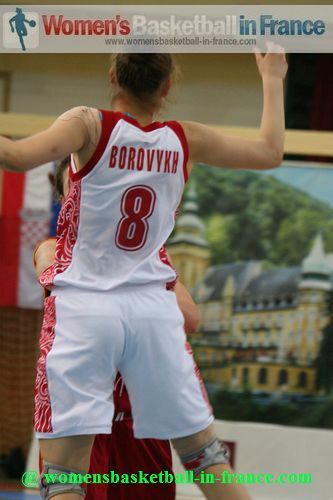 In the 7th place match the Slovak Republic scored first and led for 18 seconds. Then the hosts took over and had the game won in 25 minutes (43-18). 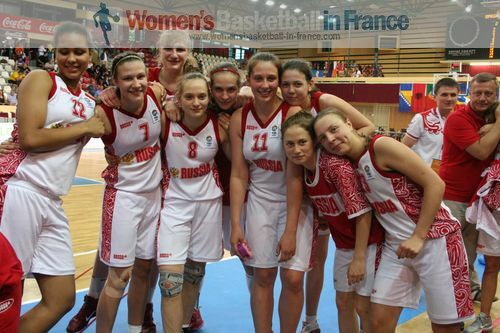 Hungary finally beat their opponents (67-42). 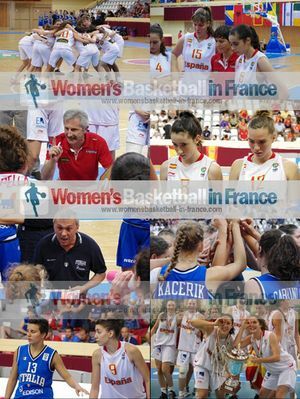 Croatia ended up on 9th place by defeating Greece (61-50) while Sweden garnered the 11th spot against the Netherlands (61-51). 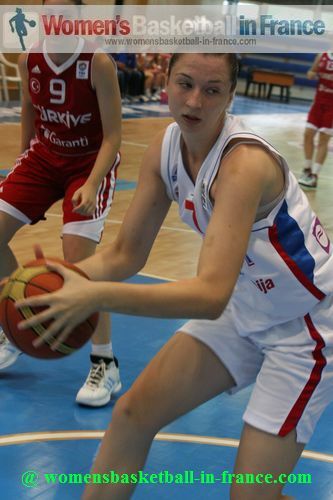 Turkey saved their U16 FIBA Europe Division A status with a hard fought passionate victory against Serbia (76-59). 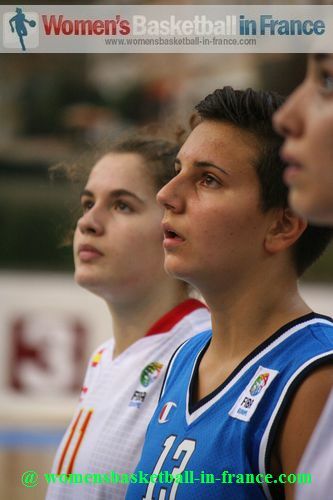 The game started at a frantic pace with three lead changes in the first five minutes with Turkey coming out on top (16-10). 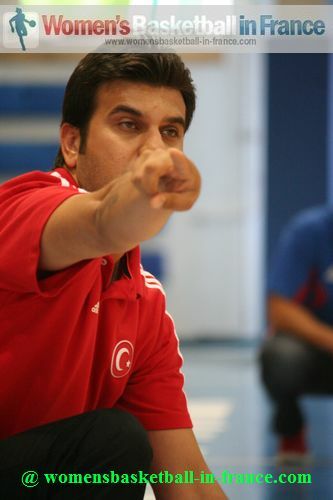 Turkey then stepped on the accelerator in type U16 fashion with Serife Omar setting the pace as they went on a run of 11 unanswered points for an early second lead (28-13). 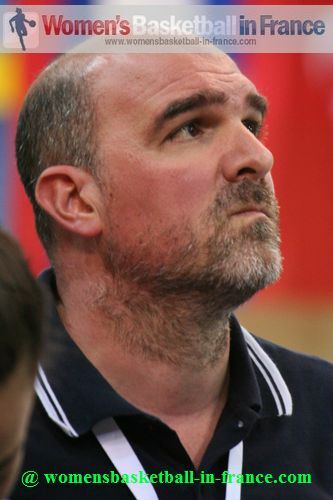 Trailing (20-38) at the interval Serbia were forced to play high tempo basketball which was a delight to watch. But it was a case of "too little, too late". 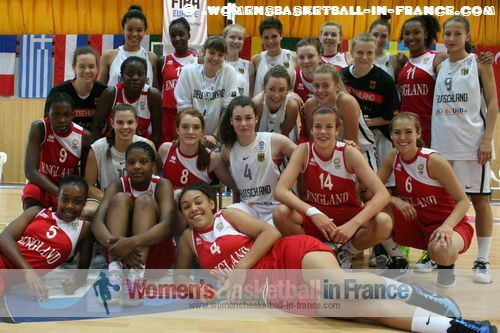 Germany finished the competition with a comfortable victory against England (60-48) in the first game of the day. The result changed nothing in terms of classification. Germany are 15th and England finish in 16th place. 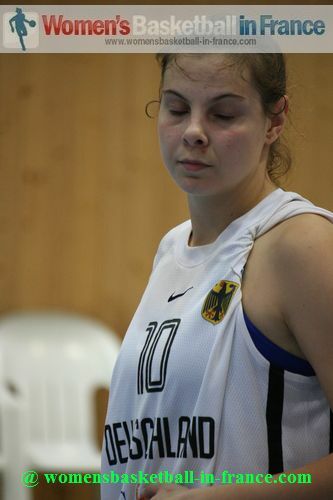 The German coach Alexandra Maerz found the magic words during a time-out during in the third quarter. 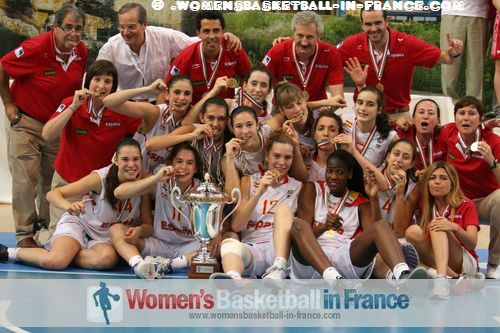 She told her players to lift themselves up and that it was not the end of the world it was only basketball. Germany went on 9-0 run and the rest is history. 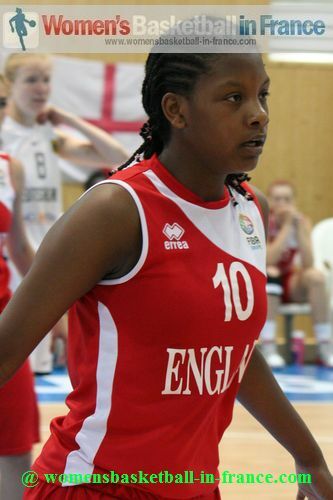 We also have some news on Jennifer Crowder who was injured on day 8 who will have further tests when she returns to Germany and for the moment she has to use crutches.